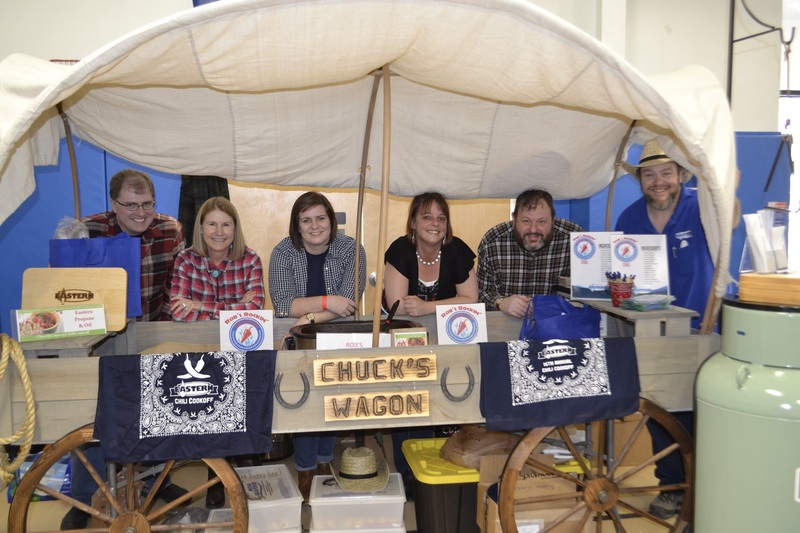 North Conway – The day may have started out chilly, but things heated up quickly as the 16th Annual Chili Cookoff kicked off at the North Conway Community Center on Saturday, April 6, 2019. More than 400 tasters enjoyed everything from chili to cornbread, along with ice cream and baked treats to cool off with too. Of course, the People’s Choice Award was chosen by the ticket-holding tasters at the Cook Off. Congratulations to the winners in all categories announced at the awards ceremony following the Cook Off. The Mt Washington Valley Chamber of Commerce is especially pleased to honor the winners in the new Kid Chef Division. The 16th Annual North Conway Chili Cookoff was presented by the Mt Washington Valley Chamber of Commerce. Additional sponsors include Eastern Propane & Oil, Chalmers Insurance Group, and North Conway Village Association. The Kids Chef division is sponsored by Sea Dog Brewing Company; supporting sponsors include TD Bank and Story Land. In-kind sponsors include Abenaki Trail Restaurant & Pub, Cabot Creamery, Green Thumb Farms, Hannaford, Monkey Trucks, Wildcat Tavern, Cormack Construction and Green Granite Inn. To learn more about events and upcoming festivals and to plan around them, visit www.MtWashingtonValley.org for full vacation planning resources or call 800-367-3364 (800DO-SEE-NH). To learn more about planning a New Hampshire vacation, go to www.VisitNH.gov.